BOARD approval and financing for Gold Fields’ $834m Chile project, Salares Norte, was most likely to be preceded by a strategic decision over South Deep, the group’s faltering South African gold mine. JP Morgan Cazenove analyst, Dominic O’Kane, said in a note on April 11 that South Deep and Salares Norte were “mutually exclusive” in Gold Fields’ portfolio over the long term if capital allocation targets more than 15% internal rate of return. “This is likely to mean that a strategic solution at South Deep is a likely condition precedent of Salares’ approval for funding,” said O’Kane. “Such a strategic solution at South Deep would be positive catalyst in Gold Fields’ share price.” JP Morgan Cazenove was neutral on the stock in the meantime. Macquarie Bank was similarly neutral on Gold Fields saying shares in the company were fairly priced even allowing for the impact of Salares Norte which would take long-term gold production beyond the current two million ounces a year, and notwithstanding the ramp-up of its Gruyere project in western Australia, as well as the completion of its Damang mine expansion in Ghana. Once again, it was South Deep that was the concern. Macquarie said the mine would average production of 250,000 to 300,000 oz in the long term, adding that it had “very low confidence” in the plan to get to 500,000 oz. Short term production at South Deep was likely to be influenced by making mining areas safe again following an extended strike by the National Union of Mineworkers at the end of last year. Macquarie expected Gold Fields to mine at an average of about 2.5 million oz/year over the next seven years once accounting for the start-up of Salares Norte as well as Asanko Gold Mines, the Ghana operation in which it recently bought a 50% stake, and Gruyere. Said JP Morgan Cazenove of South Deep: “Gold Fields’ current project pipeline creates growth opportunities, however, its exposure to South Deep unjustifiably dominates the investment thesis, in our view”. Until the future of South Deep was resolved, there were “limited re-rating opportunities”. Gold Fields announced earlier this week that it was bullish on the development of Salares Norte, currently the subject of an environmental impact assessment (EIA) that would take 18 to 24 months for the Chilean authorities to complete. The EIA was accepted by the government for review on July 11 last year. 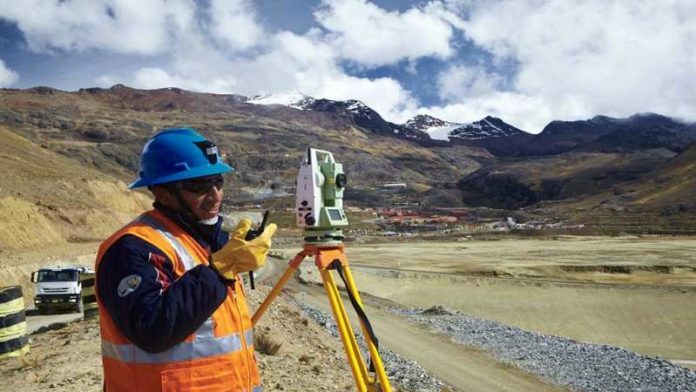 All things being equal, construction on Salares Norte was scheduled to begin in late 2020 with first gold production in 2023. The mine would have an initial life of mine of 11.5 years and life of mine production of 3.7 million gold equivalent ounces at an all-in sustaining cost of $465/oz. In addition to capital expenditure of $834m, Gold Fields had already spent some $220m firming up the deposit which translates to a cost of $66 per reserve ounce. This compares to the average merger and acquisition multiple for explorer/developer assets since January 2016 of $95/oz, said Macquarie Bank. Close down South Deep as soon as possible. The sooner you stop the cash drain the better. South Deep will NEVER produce more than 350kOz. 500kOz is simply a pipe dream to keep the wolves at bay until Nic can secure his retirement… It cannot and will not happen….